The Navy’s multi-national arctic exercise known as ICEX is underway in the far north and the USAF is getting in on the action. 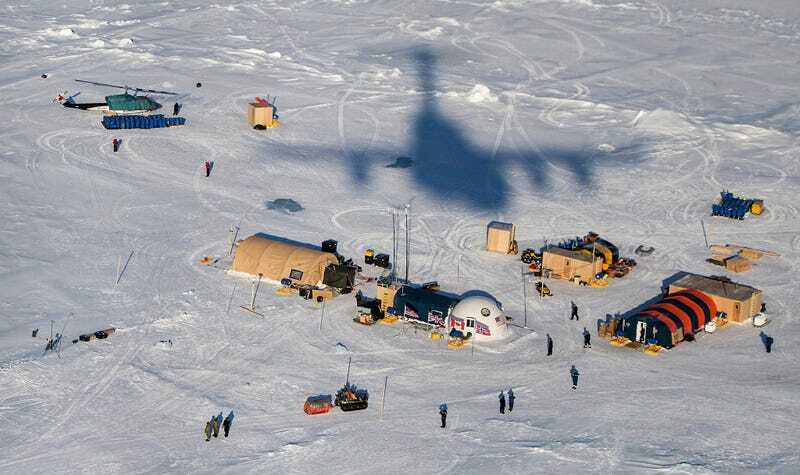 A C-17 from the 249th Airlift Squadron dropped 10 Pararescuemen from the 212th Rescue Squadron and two Alaska Army National Guard soldiers, along with 9,500 pounds of supplies, into the super-remote ice-base. This unique mission was captured in the dramatic photos below.